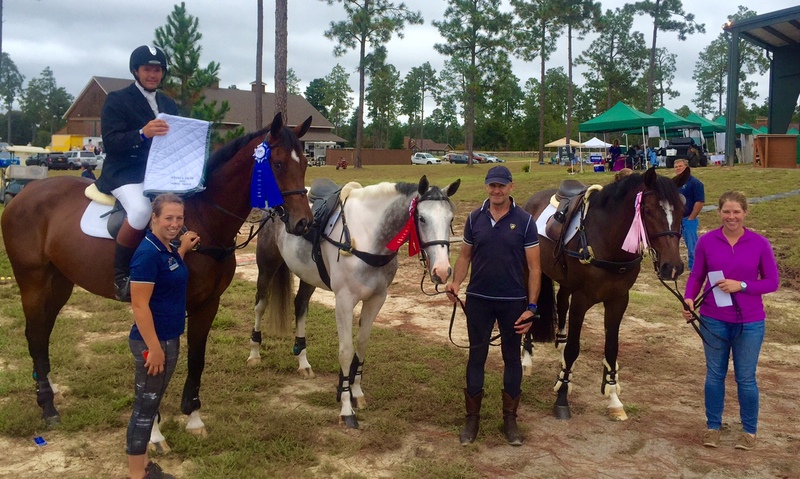 It was a great weekend for the young horses competing at Stable View in Aiken. FE Spring Break owned by Zunee and Almarie van der Linde finished 3rd in the Open Preliminary just missing out on the win after having the last fence down in the Show-Jumping! Clayton was very impressed with this young horses performance all weekend noting, ” At just 6 years of age, Siggy gave me a great ride all weekend. He absolutely cruised around the Cross-Country never missing a beat and really tried hard in the Show-Jumping giving the fences plenty of air. Unfortunately we had the last down but I couldn’t fault his performance”. 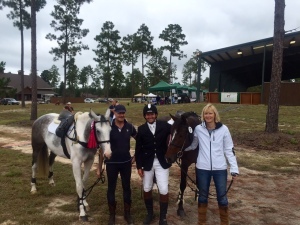 FE Subiaco completed his first Preliminary finishing on his dressage score of 29.1 to place 2nd. Say’s Clayton, ” He is a very exciting prospect for the future, he stepped us to this level with ease and really made it feel easy. 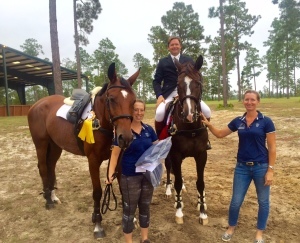 We imported his half brother, Bentley’s Best in 2013 and he has been very successful with Jess Phoenix recently stepping up to 3*** level and this horse reminds me so much of him”. 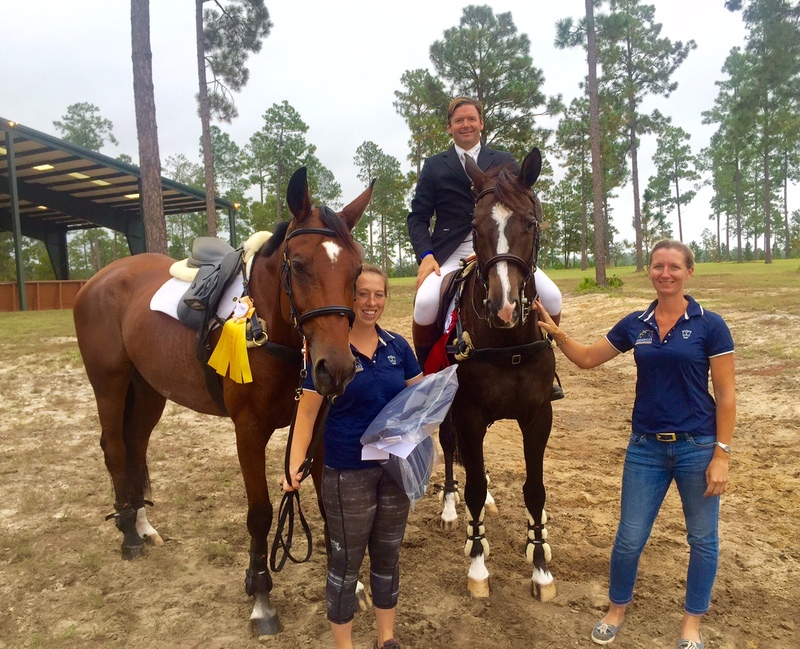 FE Caison made it his second win at Training level since been imported to America finishing on his dressage score of 25.5. 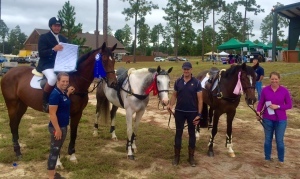 Clayton also had the pleasure of riding Kingfisher Equestrian’s, FE Mississippi and RF Outlander in the Open Training with their regular jockey Dana Cooke out of action for a couple of months with injury. Both horses are only 5 years of age but had great events finishing 2nd and 5th respectively. Clayton really enjoyed the opportunity to ride these horses and noted, ” All the credit for their performance really needs to go to Dana. She has done a great job producing them and hopefully I can give them some nice rides while she is out of action and have them feeling good when she is ready to jump back in the saddle”.